When it comes to wood heaters for your home the word *traditional* no longer means boring, there are so many wood heaters available to suit any style, needs and budget. Everyone loves a wood heater, for centuries people have kept themselves warm and cooked food over an open fire, and a 100 years ago most homes had a fireplace used for heating and cooking. There is nothing like starting and controlling your fire, adjusting the heat and enjoying not only the warmth, but the ambience a wood fire gives. Here are just a few – of the many – most efficient wood heaters available. 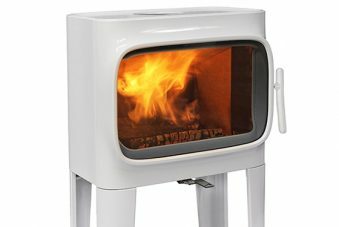 Arrow Woodheaters – Arrow 1800 Freestanding Wood Heater. Arrow has certainly redesigned wood heating for Australian families, with their unique range and Triple Burn Combustion System for cleaner emissions and increased fuel efficiency. The fully welded steel plate firebox is fitted with cast iron liner to give better heat retention in the firebox and a better transfer of heated air into your home. 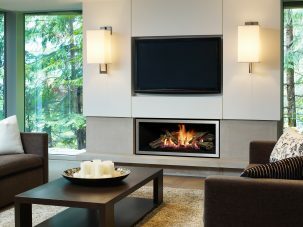 Arrow wood heaters come with a 3-way air induction system that provides a complete burn of fuel for optimum heat output. This air system also improves combustion even if the fuel inside is less than ideal. A 3-speed fan that is standard ensures heat is distributed evenly to warm your home. Underneath the grate is a large ash drawer when all the wood has been consumed miniscule remaining ash falls through the grate into the drawer. All you need to do is empty the drawer once a week, and, thanks to Arrow’s unique design you can empty the drawer when the fire is going allowing you to have warmth 24 hours a day! A slide control allows you to set the air flow to the base of the fire allowing you to perfect the perfect burning rate allowing for overnight burning, so you wake to a warm house on cold mornings. Blaze B900 Freestanding Wood Fireplace – once you install this new slow combustion wood heater in your home the hardest part is moving away from the wood heaters penetrating warmth. This range isn’t just contemporary and modern it has amazing coverage and efficiency. Coming with a 3-speed remote fan control, 6mm steel construction and 6mm toughened glass, the new Blaze 900 heater burns so efficiently that it will better the new emission standards set to be introduced this year. 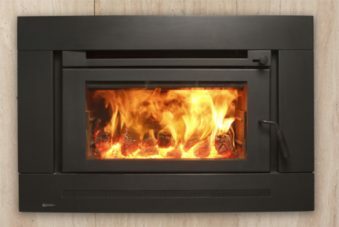 Produced by Pecan Engineering, an Australian industry leader since 1975 the B900 has easy to use functions, you’ll be enjoying the perfect fire in no time. Of course, how well this wood heater burns isn’t the only feature that makes this unit a stand out, with simple clean lines this is a stylish heater that will look great in any home. The Blaze B900 is simply brilliant!